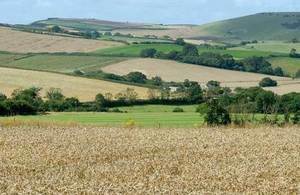 Thousands of people involved in farming, wildlife preservation and rural businesses have recently received more details about how they might benefit from £15 billion in EU funding over the new CAP period. Defra, working with the Rural Payments Agency (RPA), Natural England, Forestry Commission and the Rural Development Programme Delivery Team has published more information on how the new schemes will work, as part of a drive to ensure people are given regular updates so they know what they need to do to claim and when. The CAP Reform Countdown An Introduction to the new Common Agricultural Policy schemes in England has been sent to more than 110,000 existing customers of land-based schemes in England and includes a timeline drawing together on a single page a snapshot of all the schemes. There is also more information on the roll-out of a new online service which will make it quick and simple to apply. “We are determined to implement the CAP in a way that is as simple, affordable and effective as possible and are working together across Defra to help people understand how the reforms will affect them, what they need to do and when, and how to get more information.